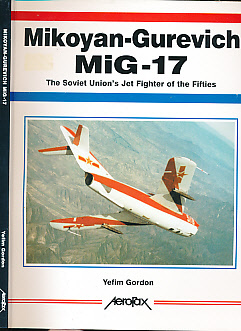 Barter Books : Gordon, Yefim : Mikoyan-Gurevich MiG-17. The Soviet Union's Jet Fighter of the Fifties. 280 x 220 mm (11 x 9 inches) - 144pp. VG: in very good condition with dust jacket. Remnant of label on front cover.